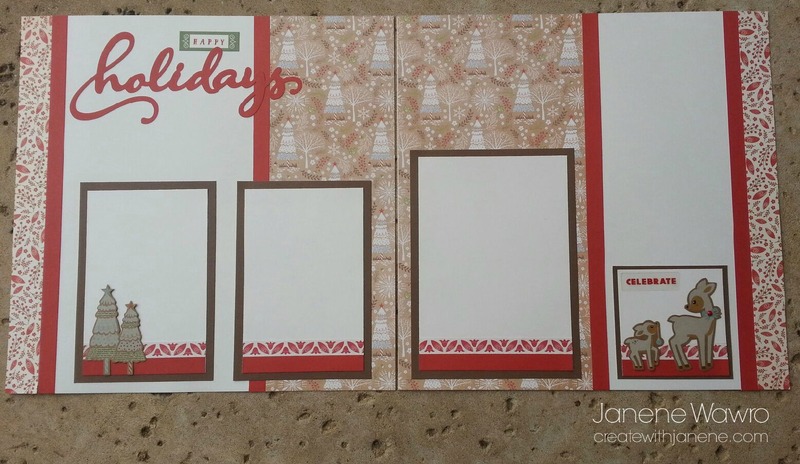 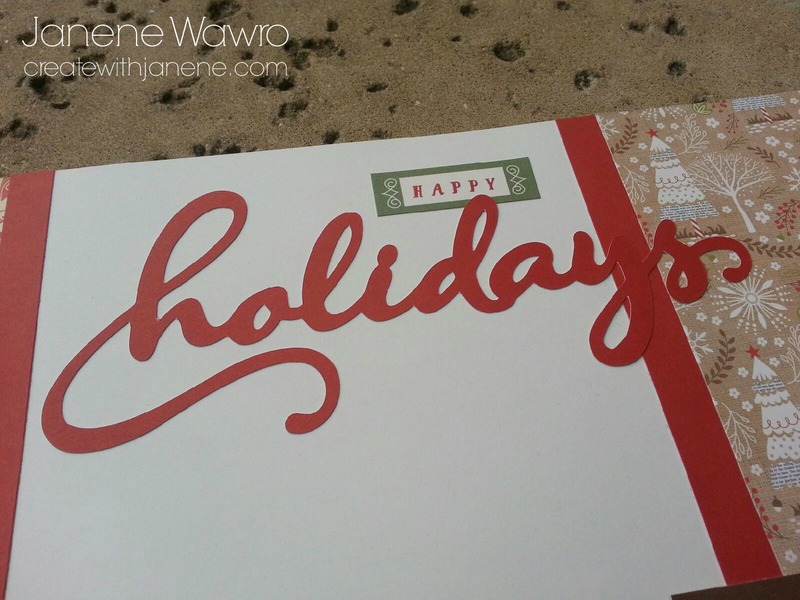 I am LOVE LOVE LOVING Close To My Heart's WHITE PINES Workshop on the Go kit. 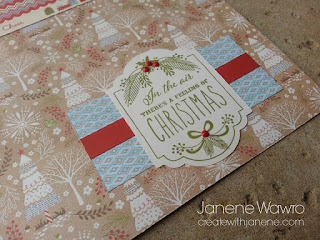 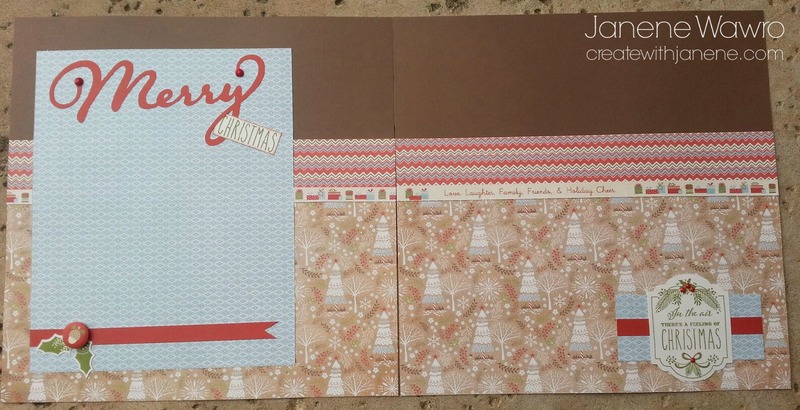 Beautiful for Christmas, but a fun twist with the addition of the Glacier Blue color. Finished off beautifully with the small, adorable accents from the WHITE PINES COMPLEMENTS pack - great clear and Kraft shapes for those final touches. These adorable kraft trees also came from the White Pines Complements pack. 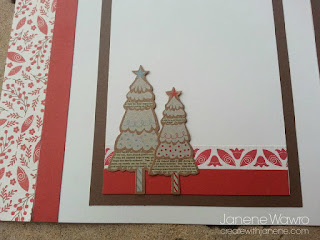 When adhering, simply put adhesive along the bottom part of the tree, so that a photo can be added to the mat later and slipped behind the top part of the tree. 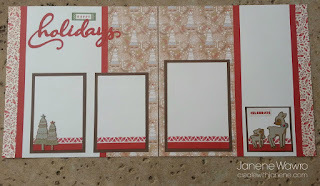 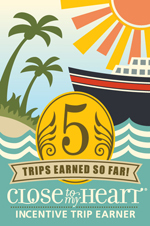 More cuteness from the Complements pack (I tell you, this is SUCH a great deal for just $5.95/pack! 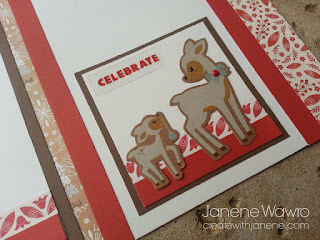 I added a tiny red gem from the Workshop kit onto the reindeer, and added the 'celebrate' word with some liquid glue behind the letters so they wouldn't show. 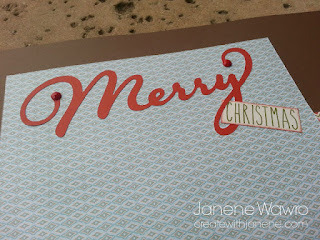 The fern leaves were stamped and finished off with a cute badge button (also in the workshop kit) instead of holly. 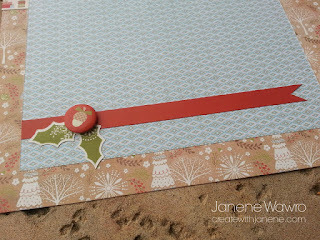 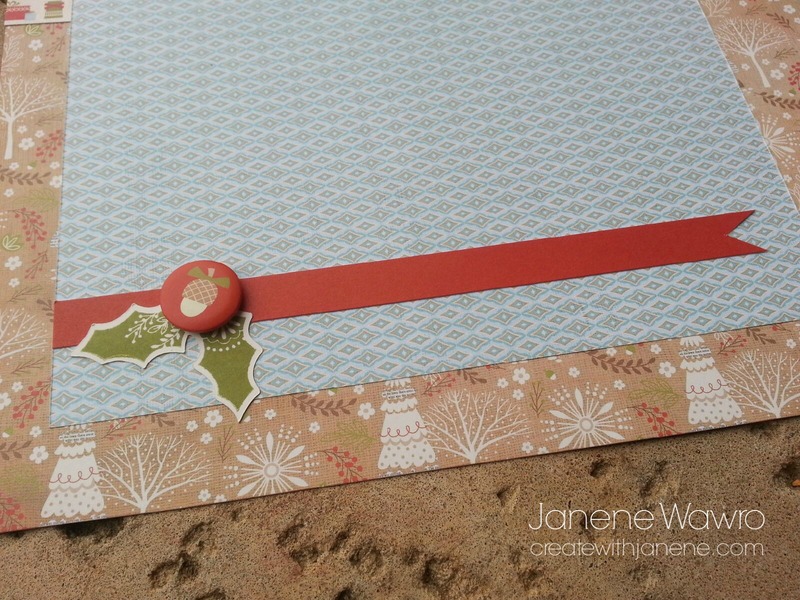 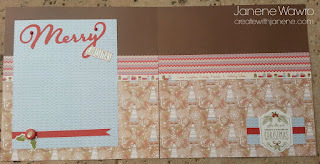 A Cranberry strip of cardstock with a ribbon-cut edge makes a really nice border.